Charming coastal two bedroom, two bath condo across the street from the beach with full size kitchen and a wet bar. Features include: New flooring throughout entire condo in Dec. 2013, Balcony, Community Pool, Cable TV in both Living Room & Bedroom, DVD player, Within walking distance to local shops and restaurants, Access to fishing pier just across from condo complex. Free internet included for guests of Oceanside 203! Linens Included. No Smoking. No Pets. Easy access to beach, fishing pier, restaurants and shops. July 4th Fun was had by all! We enjoyed our trip to Isle of Palms. Oceanside A203 fit our needs perfectly. Thank you for taking the time to send us a review. Island Realty would like to share with you that on the Oceanside Villas main page on our website it is advertised that "Guests have access to the private fishing pier and laundry facilities (coin Laundry) located at the Sea Cabin Villas." This information is also available in our check in packets under the heading Laundry facilities. Please note you can always call for assistance from a property manager during your stay. Thank you again for taking the time to share your experience with us. Trouble with heat pump leaking . The heat pump was leaking in the apartment below , they had to repair it in our apartment. This was so inconvenient for us. They compensated us for the inconvenience. I love visiting isle of palms. This is our second stay in the same condo and it is awesome! The location is great and the pool is never crowded no matter what time we went. The beach is just across the road and ice cream just a block away. The management is always accommodating and nice. Great location! Very clean and easy to stay in the rental. Very quiet. Loved the full bunk beds, as did my grandkids who spent one night with us. Perks like access to the gated pier were enjoyed every evening. Hope to come back soon! We loved staying at this condo. It is within walking distance to Harris Teeter and many other shops. We could also easily walk across the street to the beach. The condo was clean & supplied with the basics that we needed. Unit is perfect for location to beach; came as advertised; wifi worked well. Our unit was not very clean, the porch was filthy! Our bed cover cleary had not been cleaned. Upon climbing in to bed we noticed the comforter had several stains on it! It was pretty horrifying! Luckily they had extra bed linens. Floors were not completely cleaned. Bandaid wrappers, hair ties, dryer sheets, food crumbs on the carpets in both bedrooms. We were hoping to sit out on the porch but everything was dirty. Chair in the living room was so dirty and worn that we did not even want to sit in it! The rental office was friendly and understanding. They sent someone over to re clean our unit right away. They also had maintenance repair a broken toilet paper holder and replace missing light bulbs. The comforter was properly cleaned and returned the same day fresh as a rose! 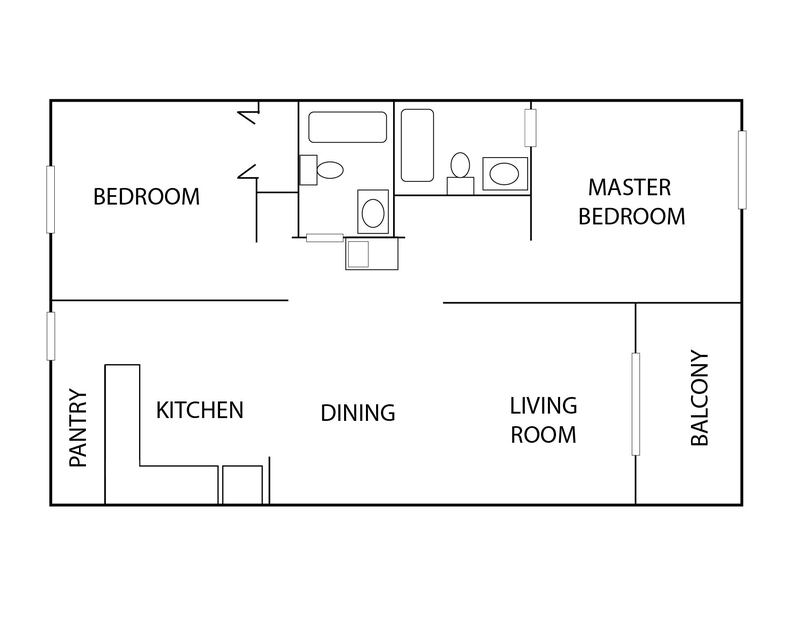 This condo unit is exactly what it states it is! We arrived a bit early and our unit was already clean and ready to go. The staff were very helpful with any questions or concerns we had and were very helpful with local information. The unit is just a short 2 or 3 minute walk to the beach and pier and is located very close to a grocery store. We could even walk to the store and the local laundry mat next to it. Our stay was very wonderful and we will for sure be coming back!!! Our unit was very clean and looked exactly like the pictures shown. If I had to comment on anything that we didnt much like it would be that one of the bathrooms showers was a bit outdated and needed to be upgraded but other than that it was a wonderful stay! Its located directly across the street from the local park and it has a very nice playground if you have kids. This was a perfect beach access place to stay with a quick walk across the street to the beach. The condo was clean and roomy. The air conditioner was perfect and worked very well. There was a.grocery store available small distance across the street, a playground at the Park. The pool was never crowded. Very noisy location, this unit faces the highway with nonstop traffic. After the first night of no sleep, asked the mgr about moving to another location but he was unable/unwilling to move us. View from balcony was electric poles/parking lot/road. Beds were made of stone. Would not stay here again. On positive side, rooms were clean and kitchen well equipped. Thank you for taking time to send us a review and sharing your experience with us. The Oceanside Villas are on the main road across from the ocean, and there is lots of activity at the beach! Luckily Isle of Palms is such a small island there is not much traffic after 6 p.m when everyone leaves the beachfront. The owners of this property will be delighted that you noticed how clean ans well equipped the condo is! We hope that the next time you come, you have a better experience with the traffic and noise! We have stayed at this unit before. Small things need to be addressed. Husband thought more soap should be left at the unit. The frying pan is very worn and he did not want to use it for eggs. The clock was not working. The stove covers are rusted. I liked that coffee filters and salt and pepper were on hand. The chair is definitely very worn and the mattress was somewhat uncomfortable. The plusses were that the air works well and it appeared clean overall. The paint looked recent. We have a condo ourselves and I would recommend to this owner that they spend a little to upgrade a few items in the unit and with the location it would be worth it to be a unit that doesn't seem a little worn. Someone will continue to choose the unit if these items were addressed. Also we asked for an extra parking pass and were denied it and had to park a second car offsite. There seemed to be plenty of parking so I was unhappy that we could not be accommodated. Thank you for taking the time to send us a review. Island Realty appreciates your suggestions. We will definitely share this information with the owners. Island Realty would also like to be able to give you more than one pass, however the Oceanside Villas HOA management will not allow more than one pass per condo. We hope to see you again soon! It was a very busy time at Isle of Palms. Many of the units were occupied and therefore very noisy. It was difficult to get a full night's sleep because of the activity in the condo above us. It definitely was a very busy time on the Island! Please know that Island Realty is always here to help you with issues such as loud guests. Please feel free to reach out to us anytime during your stay for assistance! We hope to see you again soon for a more enjoyable stay. My stay on IOP/ at the Island Realty condo was one for the memory books. The property was modern, clean and had more than expected. Just 1 minute walk to the beach, restaurants, pubs and a grocery store is right there in walking distance also. Just a few minutes drive to Mt. Pleasant for shopping and only 20 mins to down town Charleston. I look forward to coming back again. Island Realty is so glad you had such a lovely vacation! The owner's will be delighted you enjoyed your condo so much, We look forward to the next time you come visit us on the Isle of Palms! Thank you for taking the time to send us a review! Island Realty is delighted that you are having such a wonderful time. We look forward to the next time you visit the Oceanside Villas! Very relaxing, comfortable accommodations and easy access to the beach and surrounding restaurants. Excellent vacation as usual when we stay with you. Thank you for letting Island Realty know that you had such a great time. We look forward to the next time that you are visiting the Oceanside Villas on the Isle of Palms! Our stay was nice the condo was perfect. The only problem we had were the people upstairs. You could hear their child run all day and night. It was a nice vacation. Island Realty is delighted you enjoyed your stay! Thank you for taking the time to let us know. Please note you can always call us here at our offices with help anytime you have an issue with something like noise. We can reach out to the guests for you. Thank you again for letting us know how wonderful you stay was, we hope to see you again at the Oceanside Villas! We rented this apartment for a 3 night weekend. Although the apartment is slightly dated, it was clean and had a cute interior. It was quite comfortable for a family if 4 adults, although 1 bedroom is really a kids room with two Full beds. We didn't mind this and some of the dated features because of the Location and price we paid. Location is key for this rental, so close to the beach with restaurants, shops and even a Harris Teeter nearby. We enjoyed our stay and would definitely come back. Fantastic!! We here at Island Realty are so pleased that you had such a wonderful time! Being so close to the beach really makes a difference when you have been out in the ocean all day! We look forward to seeing you again the next time you come to the Oceanside Villas. We wanted to spend two nights on Isle of Palms and this unit fit the bill. For a longer stay we would probably opt for a unit with an ocean view but for our purposes (it was March and we did not have time for the beach) this was fine. WE are so glad you enjoyed your stay! We look forward to seeing you again Soon! Rental process rom booking to departure was perfect. Unit rented met all of my expectations. Enjoyed the whole week. Room was clean and had all you need to cook with. This was cleanest condo we have stay at on island,and we been coming to island off on for past ten years. One con wish we could have park the car at sea cabins when we at beach. Excellent! We are so glad you enjoyed your stay! Unfortunately parking is premium at the beach its true!! We will pass your comments along to the owners! Thank you for taking the time to send us your feedback!! Very nice place, could be a little cleaner. The vacuum that was in the condo had not been emptied in forever and the amount of hair on the roller was pretty disgusting. We stayed for two weeks and since no room service was provided (except for extra fee), we had to keep the place clean by ourselves. Towels are a little old and pillows very much thin. The pull out couch not very comfortable unless some blankets were used. A huge chest trunk was located right in the middle of the living room making it kind of hard to use the pull out couch (the condo selling point was that it sleeps 6) We had to call property service to clean up clogged drains, but they went to a wrong unit, so we had to call them again. On a plus side, once we requested extra blankets and an ironing board, they were provided within a day. Overall service from staff was very good. The unit is VERY uncomfortable as the bed and couch and chairs are all very old and worn and need replacement! There is way too much furniture in the unit and several chairs should be removed to open up the space. Even if you are staying there for several weeks or week still too uncomfortable and overcrowded!! I just reviewed your recent guest survey from your stay in Oceanside A 203 and I would like to thank you for taking the time to share your experience and apologize on behalf of Island Realty. I have reviewed all your feedback in detail and have also passed it on to the appropriate parties so they to can better understand the need for updating/renovating their unit. I am glad you reached out to us and we were able to accommodate you for the inconvenience. It is always Island Realty's goal to provide guests with quality accommodations, which I hate wasn't your situation during your recent stay. I hope that you know that every one of your suggestions or concerns are being looked at closely and shared with the decision maker of Ocean Side 203 in hopes to make this unit more appealing and comfortable for our future guests. Once again, thank you so very much for taking the time to share your experience with us!